If you’re looking to dispose of unwanted household medications, you can find your nearest drop-off location in the “Where to Go” section of our Medication Disposal page. 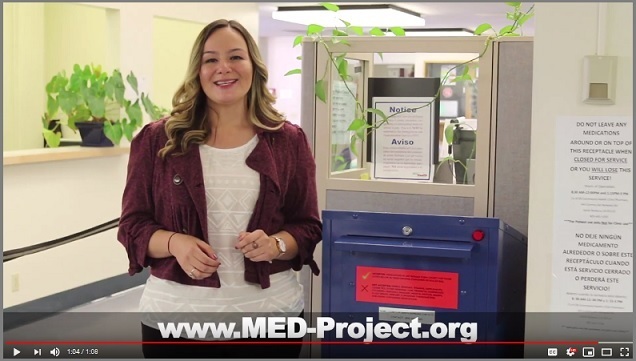 You can also visit MED-Project’s website to search for locations by zip code. MED-Project recently added new sites in Santa Barbara County, bringing the total number of locations to 31. At these sites, many of which are local pharmacies, you can drop off over-the-counter and prescription medications, free of charge. Among the items NOT accepted are herbal remedies, vitamins, supplements, cosmetics, personal care products, aerosols, sharps, and illicit drugs. For more information, check out MED-Project’s FAQs or send us a message.